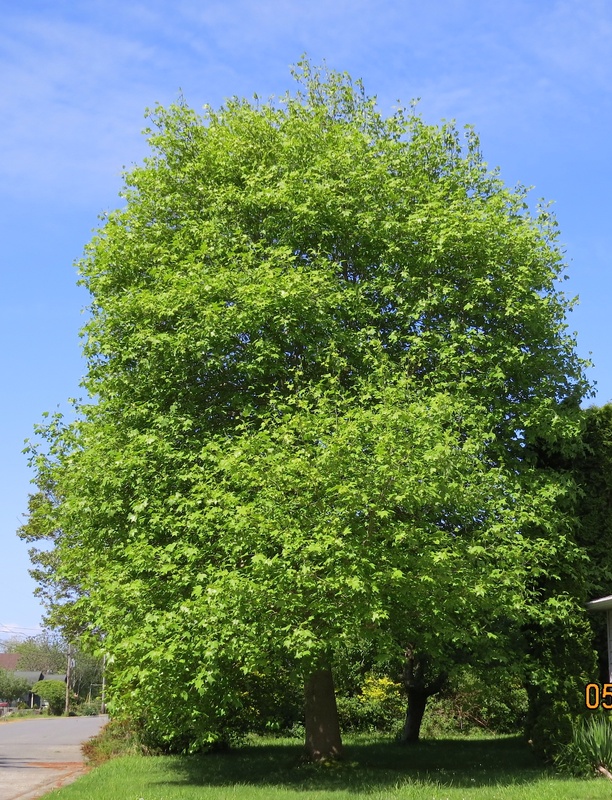 Why is is called a Tulip Tree? Because the leaves look like open tulips. Thanks to “The Prospect of Bees,”, “HB,” and Amelia in France I have a solid identification to the mystery tree. 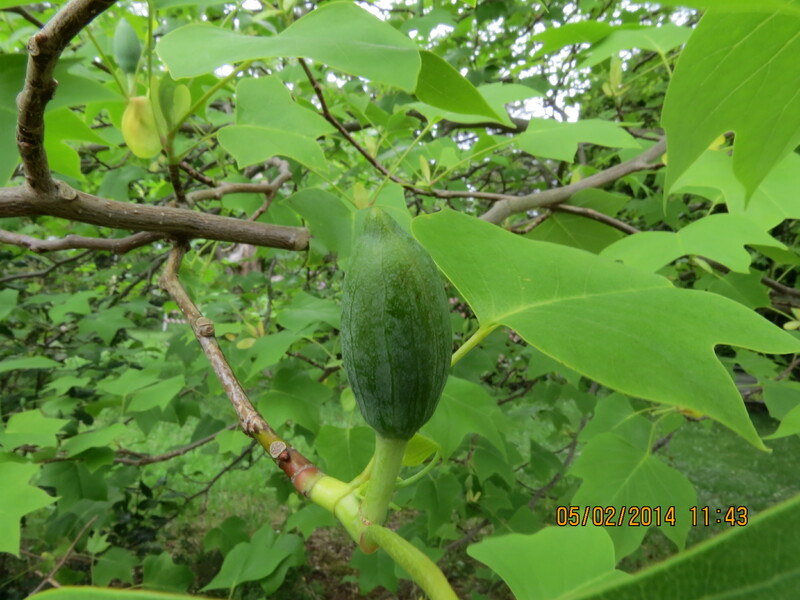 They contributed when they saw the leaf shape in last month’s post. 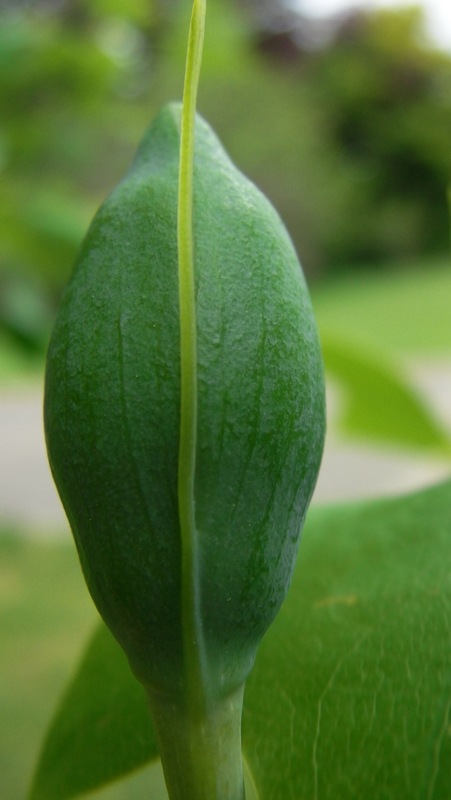 According to The Peace Bee Farmer, the tulip tree, also known as Tulip Poplar or Yellow Poplar tree, is a member of the Magnolia family and an important nectar source across Tennessee, Kentucky, and much of the eastern United States. May 2, 2014…Tulip tree blossom at the pre-open stage. May 5, 2014…Blossom slow to reveal itself, but I’m watching it everyday, hoping to catch the opening act. I’d love to see some bees (maybe my own bees) pollinating it. 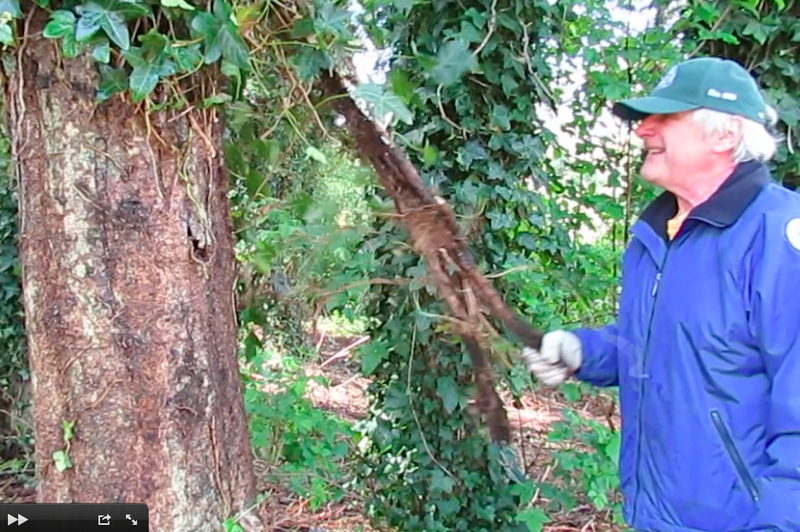 Speaking of Arbor Day, I was able to volunteer in the removal of life-choking ivy from alder and ash trees. In the process, I shot some video. Okay, I was mostly pointing the camera in people’s faces, but I was able to actually DO some work too. 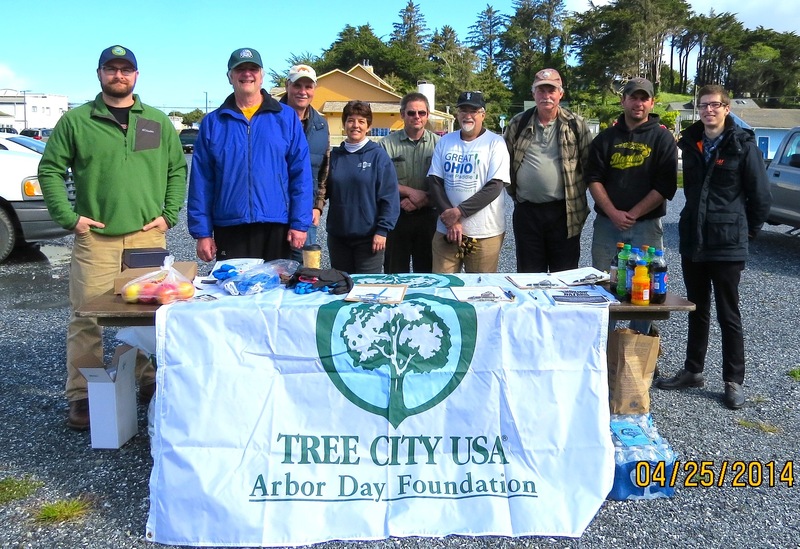 April 25, 2014… is declared Arbor Day in Bandon, Oregon. 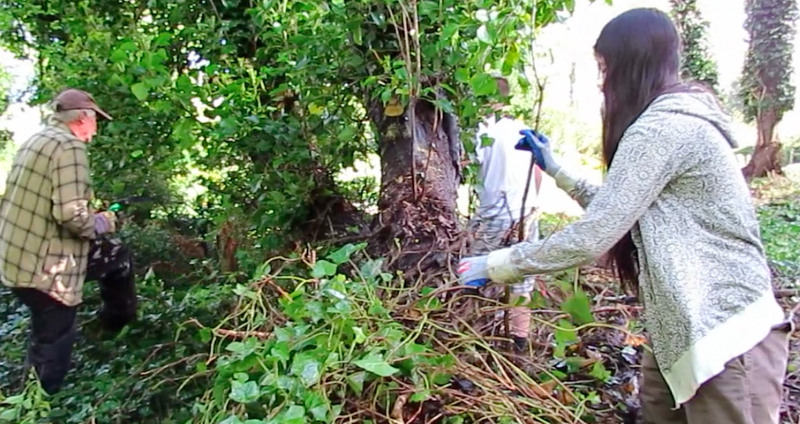 These volunteers are donating their time to remove ivy from the alder and ash trees. Organizer Michelle Hampton (left center) knows that honeybees and other pollinators get nourishment from ivy, but it’s choking the trees and must be removed. Since my bees might be affected she has revealed to me a place where I might find an old colony of bees to capture a swarm from. More on that later. 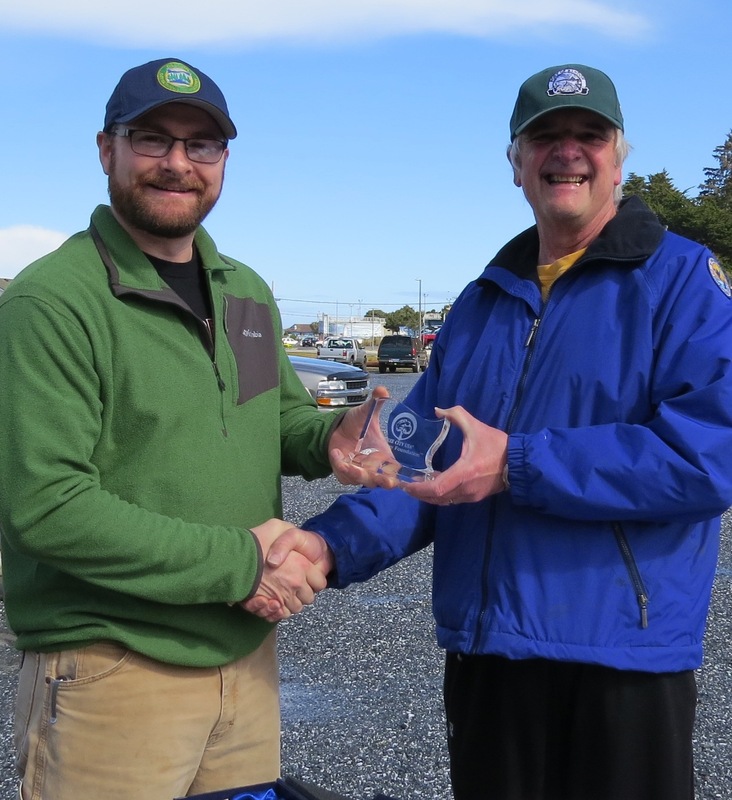 April 25, 2014…Nick Morris, Stewardship Forester with Oregon Department of Forestry, presents the Five Year Service Award for participation in the Tree City USA Program to the City of Bandon. 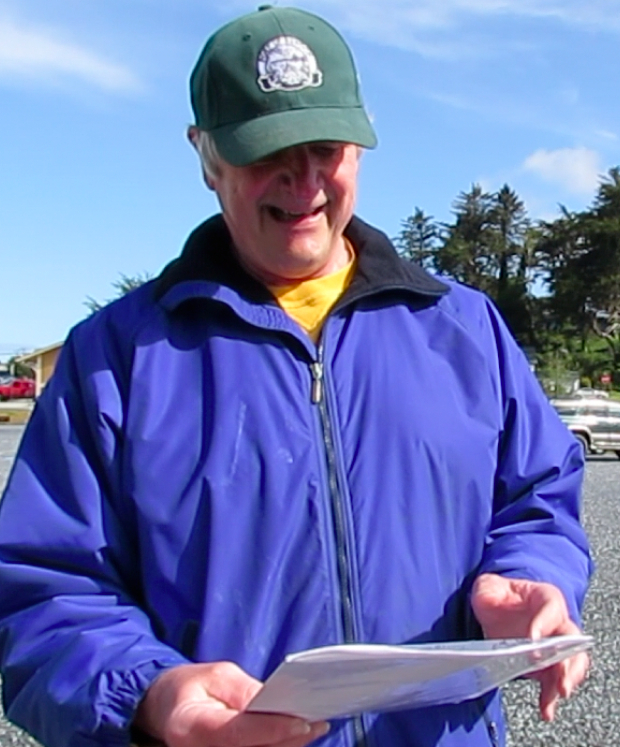 Harv Schubothe, chairperson of the Parks and Recreation Commission, reads the Proclamation, proclaiming April 25, 2014 to be Arbor Day in the City of Bandon. It was good to see some kids helping out especially on a day off from school. 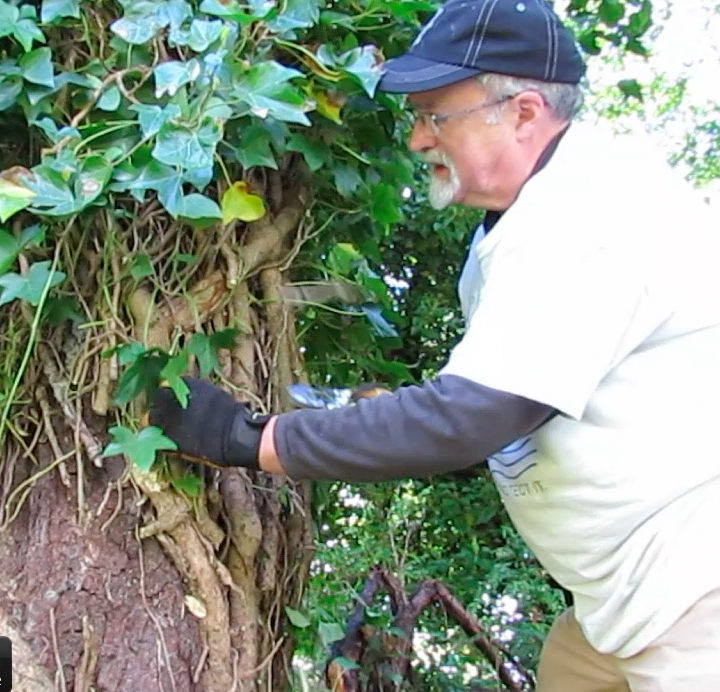 Tom works on a tree being choked by ivy. 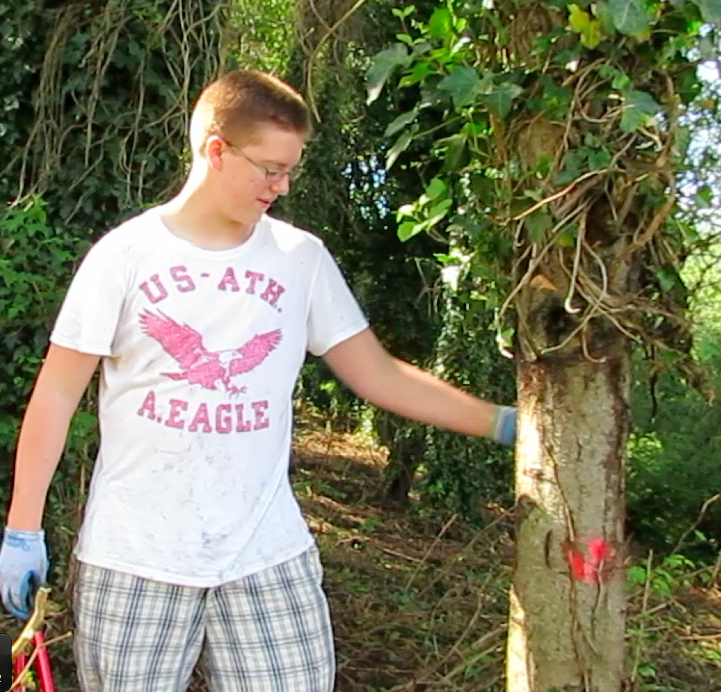 Harv peels off a big section of ivy. 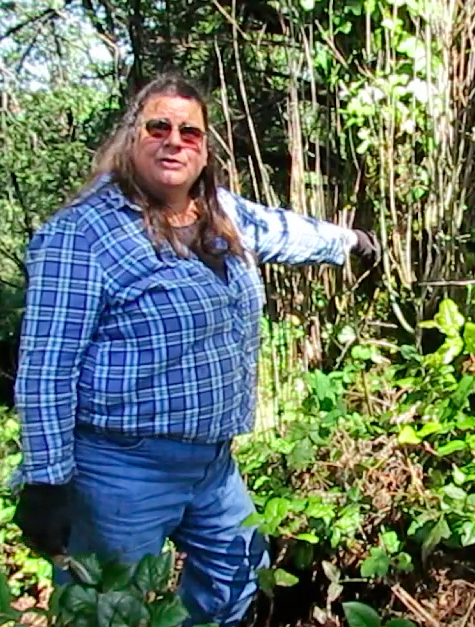 Darcy explains the importance of growing native trees for habitat. On a personal note, until I arrived at the gathering place set up to pull ivy off the trees, I didn’t even know about Arbor Day. Deadlines have always kept me in the print shop. Now that my largest account (an account that I have had for over 25 years) has gone paperless, I have more time. When I saw the article in the local newspaper asking for volunteers, I volunteered, not having done any community volunteer work for over 30 years, I thought maybe it was time. I knew that Lucy at Alder and Ash would approve. I caught the excitement of Following a Tree from Lucy and community volunteerism from Emily Heath. They are both from Great Britain. Hmmm, I wonder if they know anything about English Ivy?